Among major superhero film series, Batman’s saga has been relatively straight-forward. There are really three eras: the early, beloved Tim Burton movies; the campy, much-ridiculed Joel Schumacher films; then the legendary Christopher Nolan trilogy. Unlike Superman or Spider-Man or The X-Men, which have all shuffled hands and chronologies a few times, you can draw a pretty clear line of the stewardship of the Batman franchise, leading up to today, when it rests in the sturdy, dark-blue-tinted hands of director Zack Snyder and the gruff Ben Affleck. But there were a million false starts along the way, as a new video from Looper explores. Which ones might’ve been good? Darren Aronofsky’s fraught take on Frank Miller’s Year One comic series could have been something of a classic. (It had treatments written by the Wachowskis and Joss Whedon, all to no avail.) 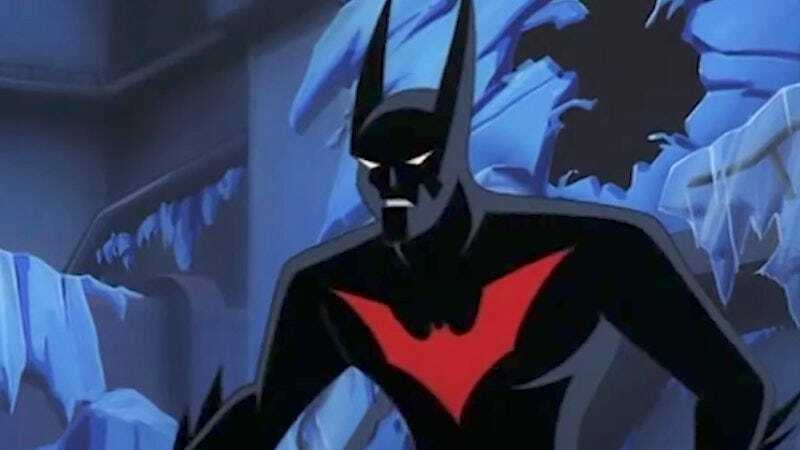 Mad Max mastermind George Miller was also lined up tackle a Justice League movie, before the success of Nolan’s Dark Knight derailed things, and Paul Dini wrote a script based on his rad futuristic Batman Beyond cartoon that never made it anywhere. Less enticing is the notion of a Chris O’Donnell-centered Robin spinoff, as well as the prospect of a third Schumacher-helmed Batman movie. Those movies are good for one thing and one thing only: puns. Chill out with a few particularly cool ones below.